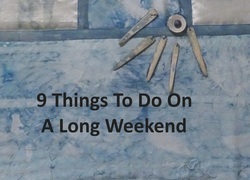 Looking for some ways to keep the kids amused on the weekend or school holidays? Why not try mini golf! Mini Golf is a fun way to keep the whole family amused for a few hours. It’s an enjoyable means of exercise and you don’t have to take it as seriously as the real game. In Birmingham, we are lucky to have a number of awesome mini golf courses dotted around. Here’s where you’ll find them. 36-holes of mini golf fun in the stunning Cannon Hill Park! The course is wheelchair accessible, so there is plenty of space for pushchair too. Cannon Hill Park also has a number of other great activities, including boat hire on the River Rea to tennis courts, playgrounds and the Garden Tea Rooms. Has two courses - Hidden Cove Challenge and Lost Hut Trail. Hidden Cove Challenge is fully pushchair and wheelchair accessible. Also offers kids parties, including a McDonalds Kids Meal as standard! Have family specials and deals, plus ‘date night’ specials if you fancy an evening away from the children! Mr Mulligans’ brand new venue in Birmingham has three, totally amazing space themed indoor adventure golf courses, with options for 12, 24 or 36 holes. This is a family friendly venue that has a large restaurant plus baby change facilities and even offers children’s birthday parties. The course is pushchair and wheelchair friendly. Has 18 holes of adventure golf and 12 holes of mini golf, meaning there’s a course for the entire family! There are eating areas around the course if you or the kids need to take a break. Read more about Adventure Golf here and for more information about mini golf, read on here. Valley Cycles is located in Sandwell Valley Country Park and activities include crazy golf, FootGolf and a Pitch and Putt Course. The crazy golf course is holes suitable for the whole family. The 18-hole FootGolf course is located alongside he original 18 hole Pitch and Putt short course and is an awesome mix of football and golf! It is a test of ball striking precision and power. You just have to complete each hole by kicking the ball into the hole in as few shots as possible, suitable for the whole family from beginners to expects. For more fantastic family-friendly activities, read on here.